China completed a remarkable transformation in their 2018 World Cup AFC qualifying campaign after a 2-0 victory over Qatar saw them advance to the third round on the road to Russia. Facing elimination if they failed to win in Xian, China brought the game to life just before the hour. Qatari goalkeeper Amine Lecomte saved from point-blank range but was helpless as the rebound was hit against the underside of the bar and bounced out. The ball found its way to Huang Bowen, whose shot on the turn from the edge of the area gave Lecomte no chance. Wu Lei added a smartly taken second in the 89th minute to seal the win and progression to the next phase from Group C.
Qatar had already sealed their place in the last stage, as had Japan before their 5-0 thrashing of Syria. Shinji Kagawa scored twice as Japan won Group E.
Shinji Kagawa will take the headlines in Saitama with two goals --- numbers 24 and 25 for his country. Hamdi Al Masri's own goal provided the opener while Keisuke Honda and Genki Haraguchi also added late goals. The result means Japan wins Group E, though second-placed Syria also qualify with China as one of the top four group runners-up, as do Iraq, who defeated Vietnam 1-0 in Tehran thanks to Mohannad Abdul-Raheem's early goal. The United Arab Emirates are also through as runners-up after managing a 1-1 draw against Group A winners Saudi Arabia, Omar Abdulrahman's goal for U.A.E. cancelling out Taisir Al Jassim's opener. The 12 teams who will compete for Asia's four automatic World Cup spots are Saudi Arabia, United Arab Emirates, Australia, Qatar, China, Iran, Japan, Syria, Thailand, Iraq, South Korea and Uzbekistan. Missing out despite finishing second in their groups are North Korea, Jordan, Oman and Lebanon. Uzbekistan defeated Bahrain 1-0 thanks to Sardor Rashidov's goal early in the second half to ensure they finished top of Group H, where North Korea crashed out after wasting a late lead and losing 3-2 to Philippines in Manila. The North Koreans were on pace to go through instead of China while leading 2-1, until the home nation scored two goals in the final six minutes. Manny Ott equalised in the 84th minute before Australian-born Iain Ramsay struck the winner as the match prepared to go into time added on. 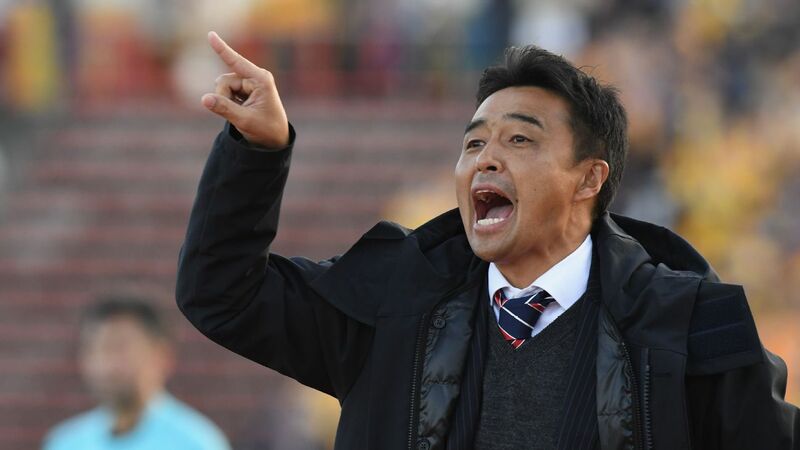 North Korea finished second in the group but both nations miss out on the next phase of qualifying and will now go into third-round qualifying for the 2019 Asian Cup. Australia finished top of Group B with a 5-1 win over Jordan. Australia finished top of Group B to book their place in the third round after romping to a 5-1 victory over their closest rivals, Jordan, in Sydney. Veteran forward Tim Cahill fired a first-half double to set the reigning Asian champions on their way and Aaron Mooy, Tom Rogic and Massimo Luongo also found the back of the net for the Socceroos before a late consolation from Jordan midfielder Abdallah Deeb. Former English Premier League manager Harry Redknapp's two-match spell in charge of Jordan ended just shy of qualification despite a win in his first game last week. But even a draw against Australia would not have been enough for Jordan as other results went against them. Serdar Azmoun scored twice as Iran wrapped up Group D with a 2-0 win over Oman, who were eliminated despite finishing second. In another Group E match, Singapore slumped to a 2-1 defeat to Afghanistan in Tehran, with neither nation having any chance of prolonging their Russia 2018 campaign. Afghanistan scored goals in both halves through Khaibar Amani and Josef Shirdel before Singapore striker Fazrul Nawaz pulled one back in the 88th minute in coach Bernd Stange's final game in charge. India suffered a seventh defeat in eight qualifying matches to finish bottom of Group D after letting a 1-0 first half lead slip before losing 2-1 to Turkmenistan in Kochi. Sandesh Jhingan gave the home side a 1-0 lead after 26th minutes. But after Arslanmyrat Amanow equalised for Turkmenistan just after half-time, Serdaraly Ataýew scored the winner 20 minutes before the end. Maldives won 4-2 to ensure Bhutan's unlikely run to the second round ended without a point. In other games, Vitalij Lux fired Kyrgyzstan past Tajikistan 1-0, Yashir Pinto's brace led Palestine to a 7-0 win over Timor-Leste, and Lebanon and Myanmar each had a player sent off in a 1-1 draw.